Fans eagerly await, mouths watering, Molly O’Neill’s book releases. Now with four cookbooks to her name, the author has twice received Pulitzer Prize nominations and was awarded the Julia Child/IACP award for her first book, New York Cookbook. Her other cookbooks include A Well Seasoned Appetite, The Pleasure of Your Company and One Big Table. O’Neill also published a memoir called Mostly True about growing up in a major league baseball family. Her brother, Paul O’Neill, played for the Cincinnati Reds and the Yankees as an outfielder, winning five World Series Championships in his career. Molly O’Neill hosted the PBS series Great Food and for 10 years was a widely respected reporter for The New York Times as well as their Sunday magazine food columnist. Her career in journalism began with a job as a columnist for Boston Magazine. 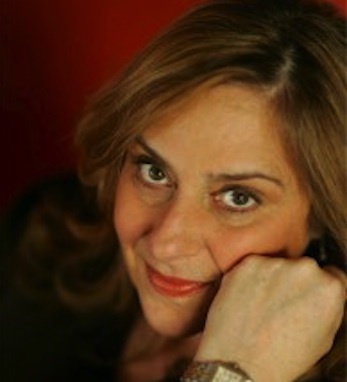 She also worked for Food and Wine Magazine and as a restaurant critic for New York Newsday. She has been awarded three James Beard citations for books, journalism and television, as well as the foundation’s Lifetime Achievement Award. The Columbus, Ohio native now lives in New York City and spends her time traveling and finding new stories and recipe ideas.